Impact Hub Harare prides itself for being a catalyst of social impact. Through our programmes and events, numerous insightful conversations concerning civic tech have been birthed and have grown from mere discussions to actual movements. At the Seedstars Harare event held in June 2018, two of the ten startups were civic tech companies (Vote Africa aimed at educating the electorate about the electoral process and Justice Today, a mobile app that utilises artificial intelligence & technology to educate citizens on crime related issues). The two startups attended the latest Facebook Developer Circles meetup centered around civic tech to share and discuss their mission and goals with the group. Vote Africa won the Best Tech Award and will pitch at the African Regional Summit in December. 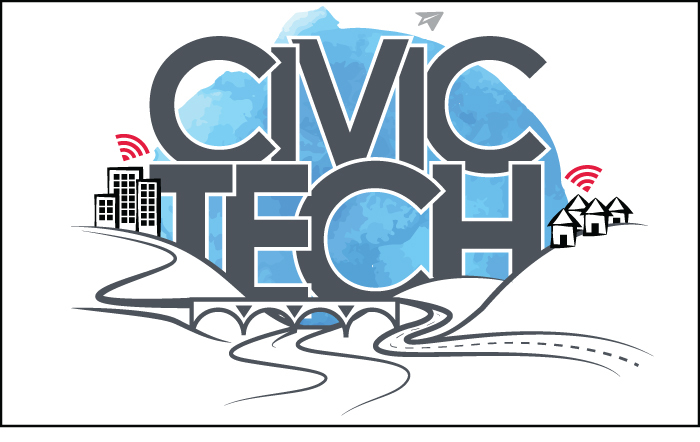 So what exactly is civic tech? The first thing that comes to mind every time I hear the term civic tech is ‘civic duty’. I see it as technology which puts citizens first in terms of inclusion and participation on issues of development. Omidyar Network defines it broadly as technologies that are deployed to enhance the relationship between people and government, by giving people more of a voice to participate in public decision making and/or to improve the delivery of services to people. These technologies can be developed by either non-profit organizations or for-profit companies, or even by the government itself. Civic tech has been around for a while now but has just recently started blowing up, especially in the global South. The civic tech ecosystem is playing an important role in molding the future of democracy in the internet era. We are currently witnessing a shift from a traditional world centered on institutions to a whole new model of society that is more citizen-centric, where civic tech encompasses everyone, from citizens and non-governmental organisations to governments and political institutions. In order to ensure free and fair elections, Sierra Leone became the world’s first country to use blockchain technology for their national election held in early March. Swiss-based tech company Agora provided a blockchain system to record every vote in Sierra Leone’s Western Area districts. The process ensured that each vote was unique, secure, and logged on Agora’s immutable blockchain. However, the election did not fully implement Agora’s e-voting system and may have encountered some inaccuracies as a result. The aim of Agora is to provide a decentralized, digital voting solution to ensure transparent and verifiable elections. Another cool platform to check out is “Pesacheck”: this platform highlights false or inaccurate news reports as well as posts shared on social media. Pesacheck was first used during the Kenyan general elections in 2017 and in Zimbabwe during the 2018 elections. These various platforms underscore that civic tech doesn’t only focus on political issues; it also bridges the gap in communication between governments and citizens on issues like service delivery and disease awareness. Examples of such platforms include Majivoice and U-Report. It’s a work in progress but the future is looking bright for African democracy and we’re delighted to be a part of the movement.